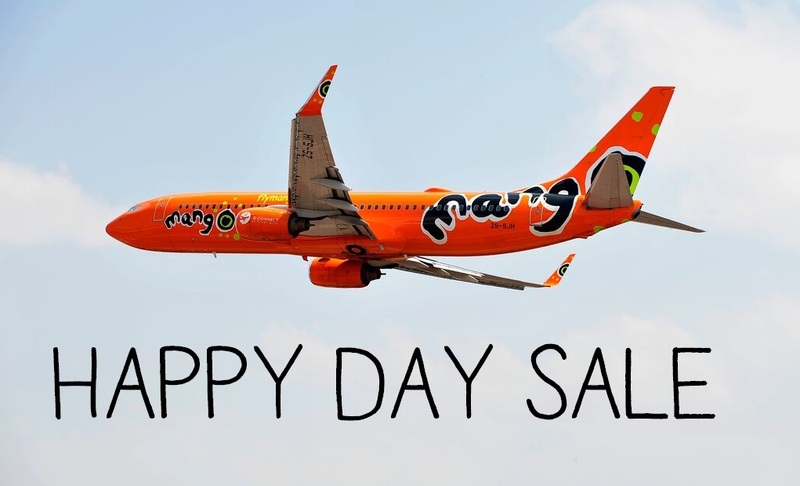 Today we've got the best of two domestic flight sales from SAA and Mango! Both these amazing sales end tomorrow night, so be sure to book before it is too late! We start the day the right way with the Mango Happy Day Sale! The sale started at 09h00 this morning, the 15th of September 2015, and ends tomorrow night, the 16th of September 2015, at 21h00. So make sure you book before these amazing prices sell out! 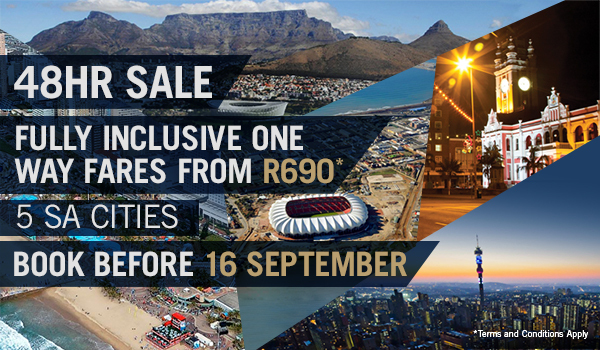 Prices start from R569* on selected flights until the 31st of October 2015. Flight prices are the same as it was last week, which will propably start changing as we get closer to the October school holidays. Our pick of the week has to be Johannesburg to Durban from a very affordable R569*, the perfect summer escape for the school holidays. * Please remember that there is as always very limited availability for the flights listed below. Prices may also have changed even by the time you read this newsletter. For the sale prices and the most up to date availability please check the Mango website. Click here to see all of the latest Mango Specials. SAA is currently running an amazing sale on selected domestic flights over the festive season! Book flights before midnight on the 16th of September 2015 to save! The travel period is from the 1st of December 2015 until the 31st of January 2016, perfect for visiting family for Christmas or planning that New Year's break. * Please remember that there is as always very limited availability for the flights listed below. Prices may also have changed even by the time you read this newsletter. Prices don't include booking fees. Click here to see all of the latest SAA Specials.